Instagram for Business: Can it Supercharge Your Marketing? Can Instagram Supercharge Your Business Marketing? What is all the buzz with Instagram? 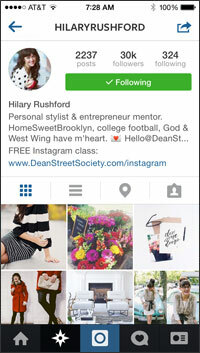 Hilary Rushford, a stylist and entrepreneur mentor, is just one of many entrepreneurs using Instagram to market their businesses. At over thirty thousand followers, Rushford shares that she uses Instagram as her sole social media platform and is bringing in a staggering six figure annual income. What about Instagram is working for someone like Hilary Rushford, and more importantly, is it right for you? You want to make the most of every minute you have. Managing multiple social media networking sites can be time-consuming with little payback. So, before we go all crazy jumping on another social media bandwagon, let’s get some Instagram basics down so you can begin to decide if this is the direction you want to take in your business. How many people are on Instagram? Earlier this month, Instagram announced that they have more than 300 million active users and are seeing more than seventy million photos and videos shared a day. That number passes Twitter in users. What is it about Instagram that is making people stop and take another look? The growth rate is what sets Instagram apart from all social media networks. According to the Pew Internet Research Project, Instagram has seen the greatest amount of growth compared to any other social media site this past year with a growth rate of nine percent. That means that over twenty-six percent of the U.S. adult population is actively on Instagram. To give some comparison, Pinterest grew by seven percent, LinkedIn by five percent, and no increase for Facebook. With an over fifty percent increase from just nine months prior, Instagram is begging attention. While the growth of Instagram is notable, knowing who exactly is on the network is important. 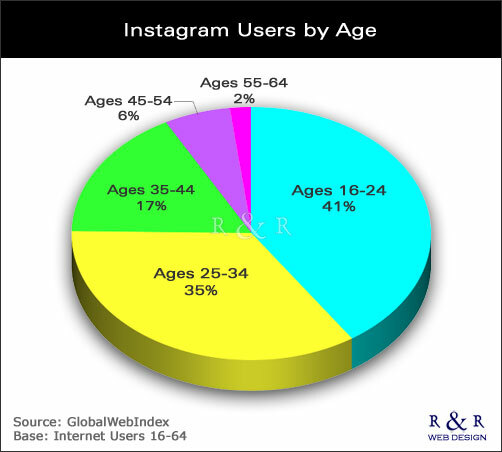 The average age of Instagram users are 18 – 34 years old. According to the Pew Research Internet Research Project, that is over half of Instagram followers fall in the age range of 18 – 29. On top of that, the gender ratio is important to note. Fifty-five percent of users are female and forty-five percent are male, unlike Pinterest, another photo focused social media network, which has a female population of over seventy percent. What’s making Instagram stand out from other Social Media Networks? Besides being extremely simple and easy to use, there are a few key differences that make Instagram stand out from the crowd. 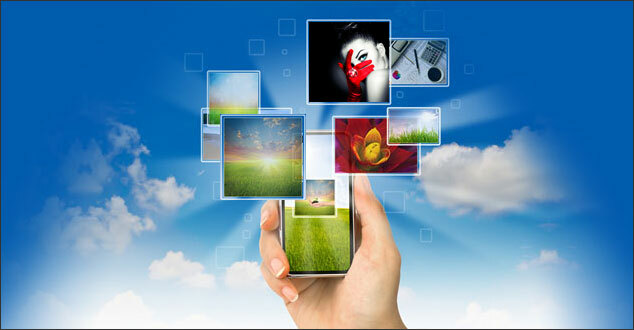 The main feature is the use of photos. It’s hard to argue how enticing an image can be and an impact it can have. Instagram entices people to create and opens the door to allowing every person be an artist, creating their own beautiful picture. Instagram is unlike other social media networks, and it’s important to realize that you can’t just copy and paste what you have done on other social media sites. If you use Instagram, you need to make sure you have your own plan and goal. Treating Instagram differently than other social media networks will help make a lasting impact on your business. When a business takes the time to cater to the creative, personal, photo-based network you are sure to reap the benefits. What Brands are doing Instagram well? Limelight Extensions, a Farmington Hills, Michigan hair salon, has used Instagram to help bring home thousands of dollars. By taking photos of their hair extensions, whether it’s of herself or models, co-owner, Miranda Jade Plater, has generated over thirty-three thousand followers and has gained tons of business. 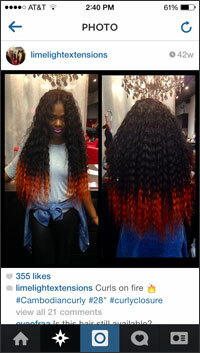 In just one photo that she took of herself wearing black extensions turning into orange, Plater has brought her business over $10,000 of sales. This is a great example how a company is making their presence known through social media and getting great profit in return. Let’s take a look at one of the first people to join Instagram back in 2010 and has been given the name “Den Mother of Instagram”. 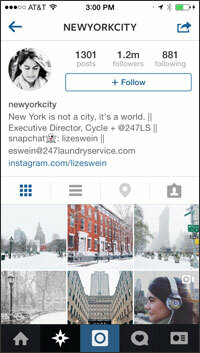 New Yorker, Liz Eswein, 25, joined as a hobby under the Instagram handle of @NewYorkCity. She now has over 1.2 million followers. Eswein charges brands $1 per like under each sponsored picture on Instagram, in addition to a fee based on the number of photos she takes. She has had pictures that generated over 23,000 likes. Looking at a high profile company can be helpful to see what is working for them. In the picture to the right, you see a yogi demonstrating a challenging pose with a powerful and inspirational quote to match the picture. The photo is simple, yet inspiring. It is inviting people to follow their message, not their company. No spamming needed, the beauty is enough. Sales came as a byproduct. Their entire profile fits this same theme. Another unique profile worth taking a look at is @TylerKnott, poet and photographer. One powerful tool he uses is a similar theme throughout many of his photos. Knott takes photos of hand written poems he has written on scrap sheets of paper. With over 221 thousand followers, he uses this method to promote his workshops, classes, and book. What age group are you marketing to? And most importantly, what is your main goal? Hilary Rushford (@hilaryrushford) asked what may be one of the most important questions one can ask themselves about their business. In her training, “Doubling your Instagram Following”, she asked entrepreneurs to ask themselves what is their main goal – to be popular or to be profitable; do you want quality or quantity? What avenue will make me more profitable? Where do I see my brand fitting? What ways can I best portray my brand? Knowing those aspects will help you to determine if Instagram is right for your business. Are you using Instagram as part of your overall social media marketing for your business? What has worked best for you and your business? What do you find the biggest hurdle? If you are not using Instagram, have you considered using it? Please let me know your thoughts in the comments below. BRAVO Melissa! Your article is perfectly timed! Well done and thank you for the great information. Jenn’s Trends is one of my ultimate go-to’s for IG information. Can’t wait to read your next article. Thanks Heidi! So glad you liked the article. I was impressed with Jenn’s Trends too! She does a great job.